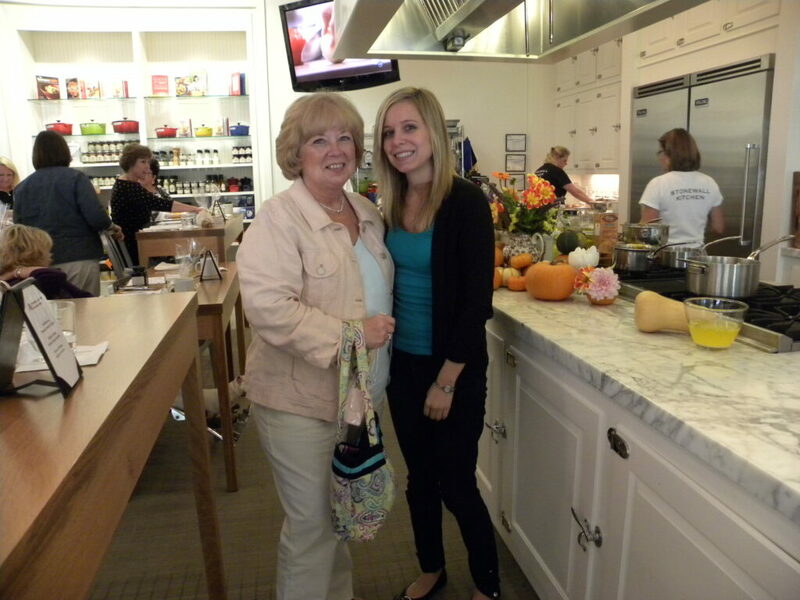 The other day, my mom and I headed to York, Maine, to take a class at Stonewall Kitchen. It’s a class we desperately wanted to take last year, but since it sold out so quickly, we couldn’t get in. So, my mom reserved our spots right away this year and we went as sort of a joint birthday celebration. The class was called Pumpkin, Pumpkin Luncheon and it was basically amazing! The kitchen at Stonewall is beautiful! It was super sleek and professional. And nicely decorated for fall, of course. 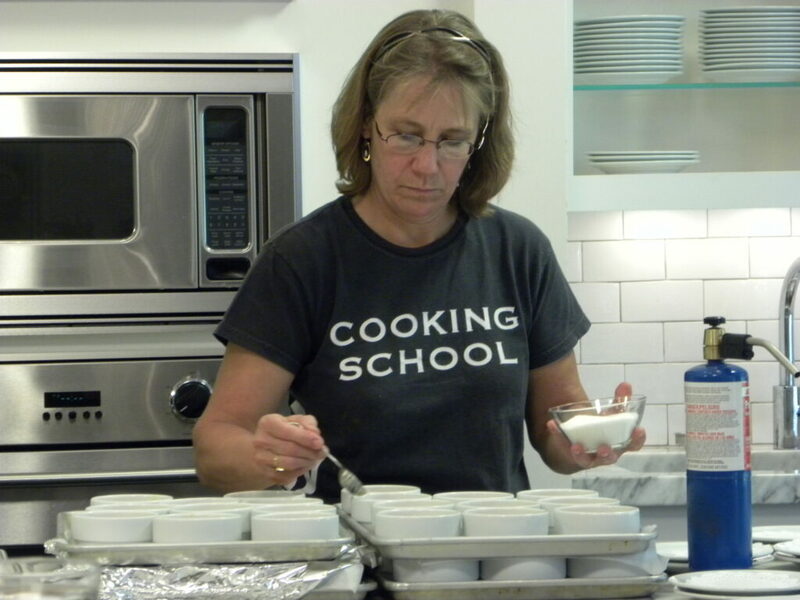 Patty Roche was our teacher who enlightened us in all things pumpkin. The class was great because it was educational but still fun. Everyone asked questions, joked around, and laughed. And ate delicious food, of course! 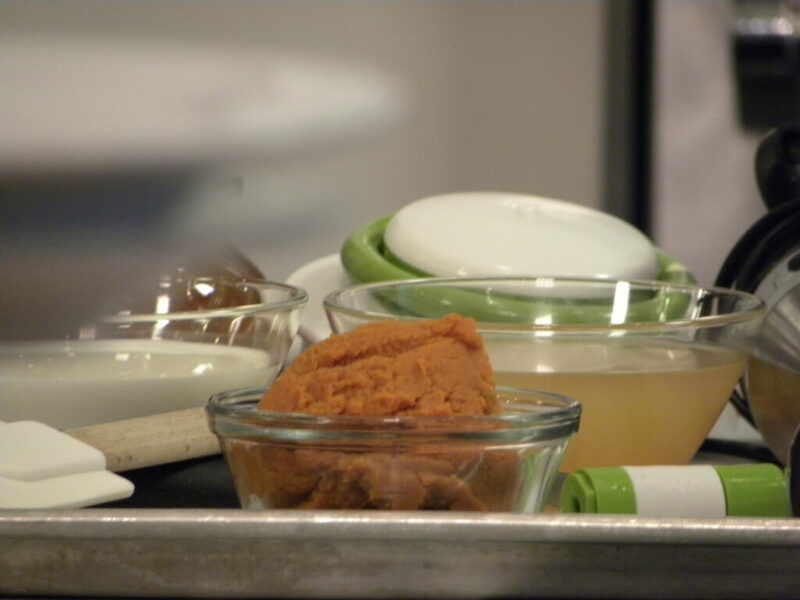 We watched Patty make the first course of Pumpkin Soup. 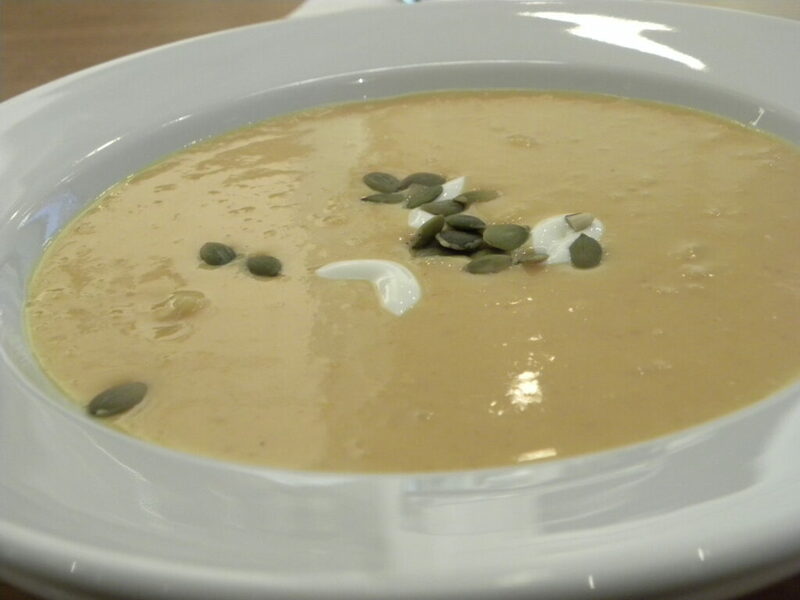 Pumpkin soup is one of my very favorite things, so was excited to have a new recipe for it. This one involved Stonewall Kitchen’s Maple Pumpkin Butter. It was perfectly creamy and a delicious start to the lunch. 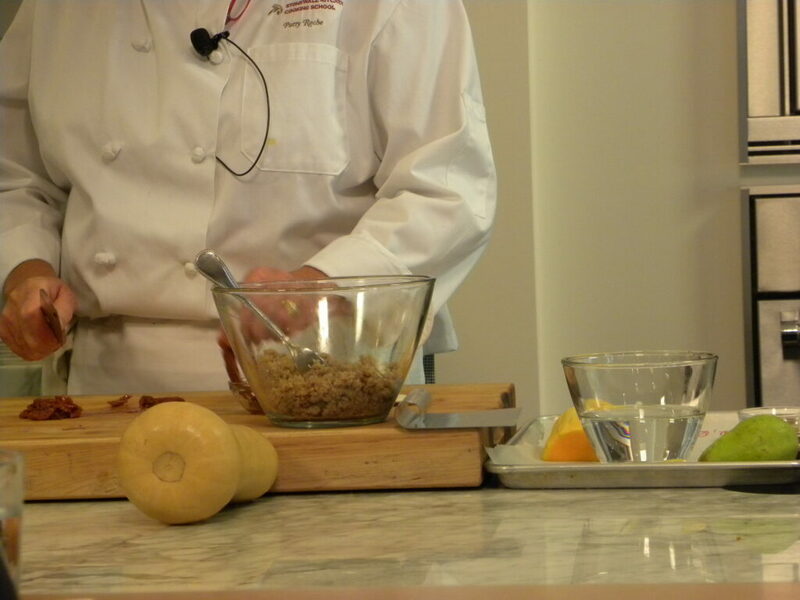 Next, Patty started making the Sesame, Quinoa, Butternut Squash and Pear Salad. What a great combination! Though my mom and I decided dried cranberries would have complimented the salad more than the sun-dried tomatoes did. I’m always looking for new quinoa recipes and this will definitely be added to my list. 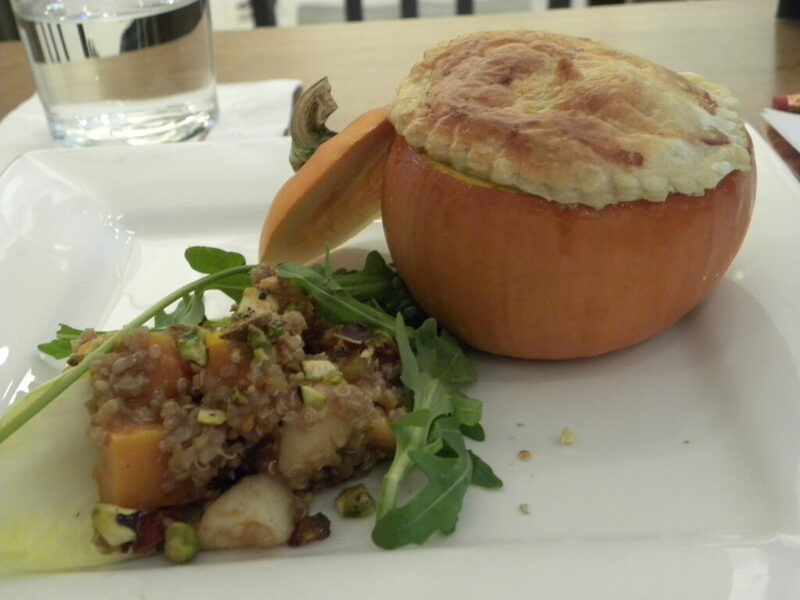 The salad was paired with the entree and my absolute favorite: Chicken Pot Pie in Sugar Pumpkins with Sage Puff Pastry Tops. 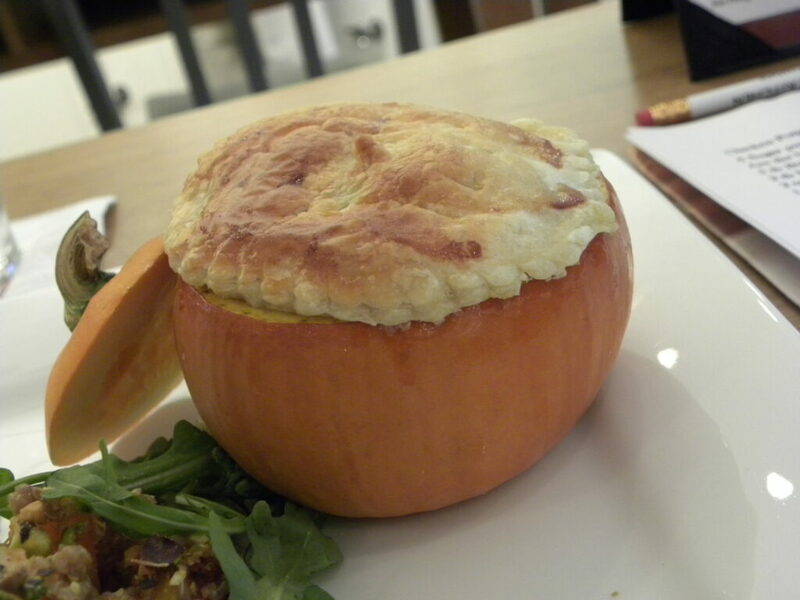 If you know how I feel about a) pumpkins and b) chicken pot pie, then you can imagine how in love with this I was. And it’s not very difficult to make either! The plates were beautifully arranged. The salad rested on a bed of endive. I’m not ashamed to admit I ate every single bit. And wanted to consume the entire pumpkin, though I made sure to restrain myself. So cute and perfect for a fall dinner party! Are you drooling yet? I will most definitely be re-creating this and will obviously post my results in the near future. 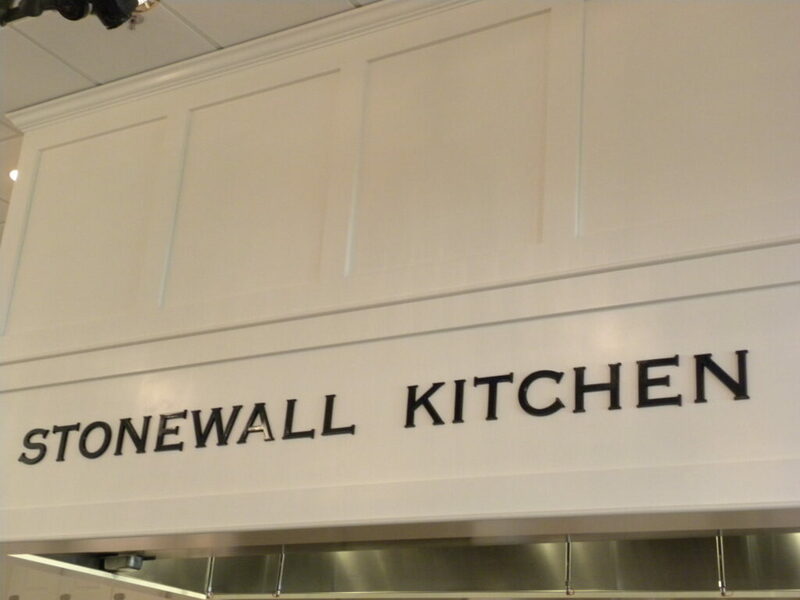 I can only hope mine looks as good as the Stonewall Kitchen’s! Pumpkin dessert was certainly not forgotten. In fact, there were 3! We got to take home our Cranberry Pecan Pumpkin Drop Cookies and Pumpkin Chocolate Chip Bars because we couldn’t have handled it all. 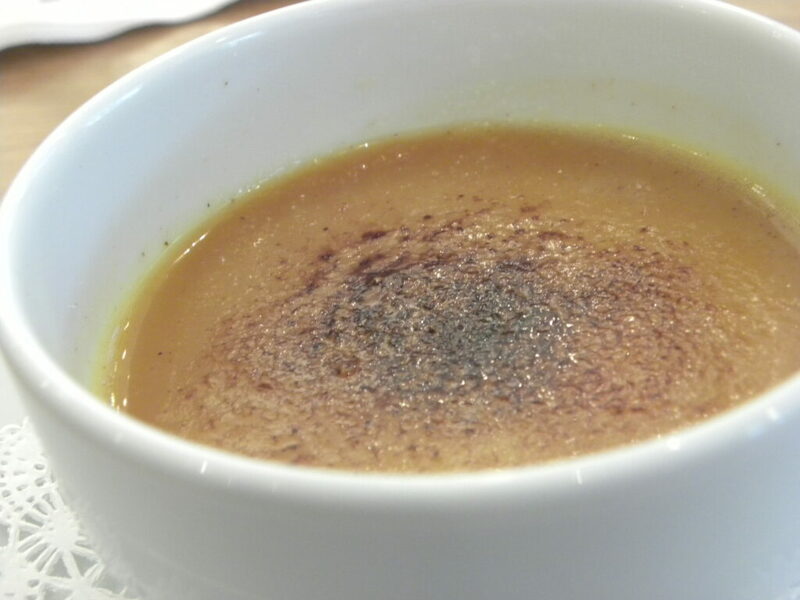 But we did indulge in Candied Ginger Pumpkin Crème Brûlée. Look at how perfect it looks! I’m a big fan of crème brûlée as it is, but throw some pumpkin in there and I’m a very happy girl. Throw a ton of candied ginger in there and I’m basically jumping out of my shoes! 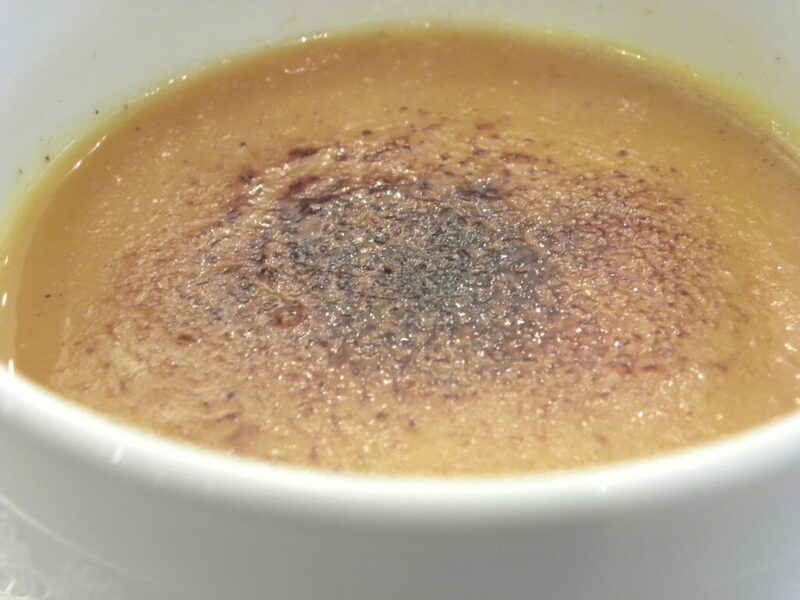 The candied ginger made the brûlée a bit crunchy and so, so flavorful. My mom and I had an awesome time! And seriously? I think it’s probably a good thing Stonewall isn’t any closer to Boston because I can see myself becoming easily addicted to these classes. It’s such a great thing to do with a friend or a family member. It’s pretty reasonably-priced for the experience and delicious food. The kitchen had a bunch of Stonewall Kitchen products for sale, but my mom and I obviously had to head over to the actual store too because it has SO much more. My favorite display, of course, was the pumpkin display. And I left with a few goodies my mom bought me for my birthday. The Maple Pumpkin Butter was a no-brainer, along with the blue cheese mustard, which I’ve been enjoying with pretzels. 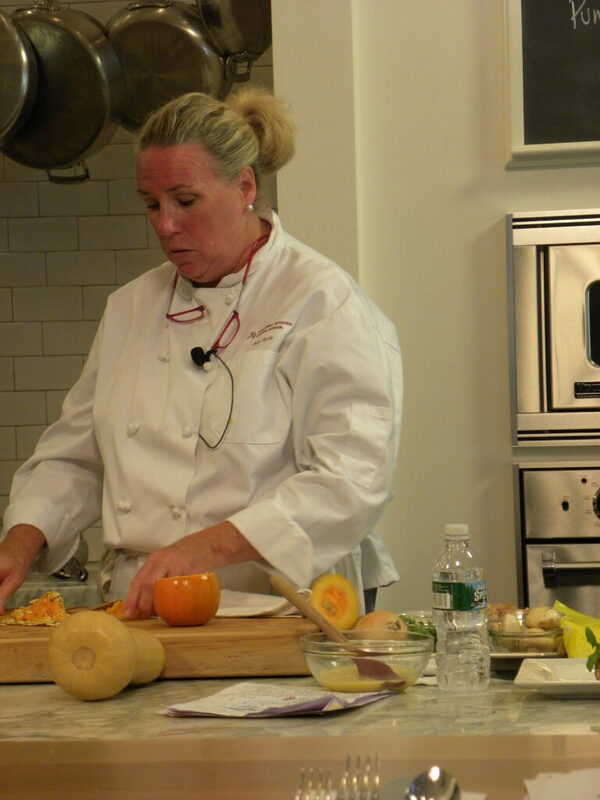 In the pumpkin class, Patty used a Chef’n VeggieChop and I immediately fell in love and needed it. I’ll let you know how I like it! 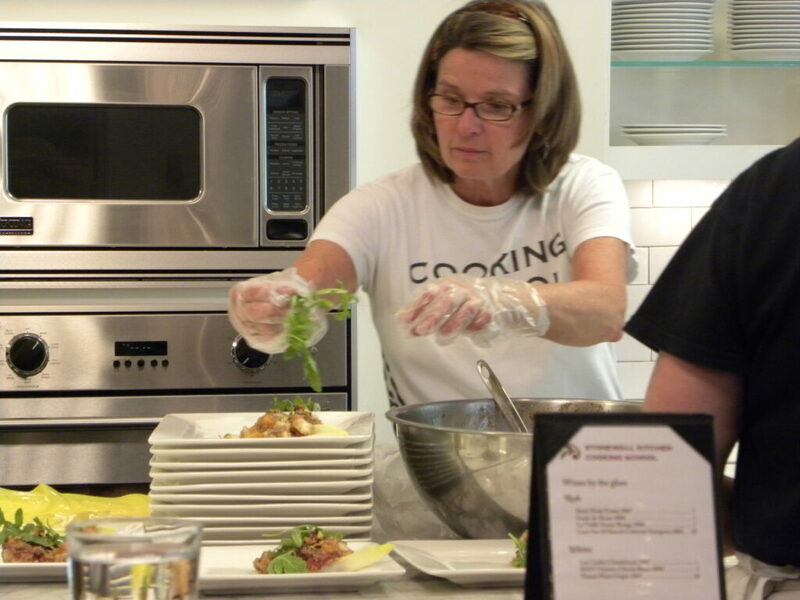 If you live in New England, I strongly encourage you to take the trek to York, Maine, and try a class at Stonewall Kitchen. Actually don’t, because the classes fill up quickly enough as it is; I don’t want them to fill up any faster! But at least go visit the store. You won’t be able to leave without buying something! I’ll be back very soon to take another class! In the meantime, I’m really looking forward to my second class at Stir in December that Chels gifted me with once again. It’s going to be a blast! Check out Stonewall’s blog too! ≤ftarrow; St. Augustine, the rest! 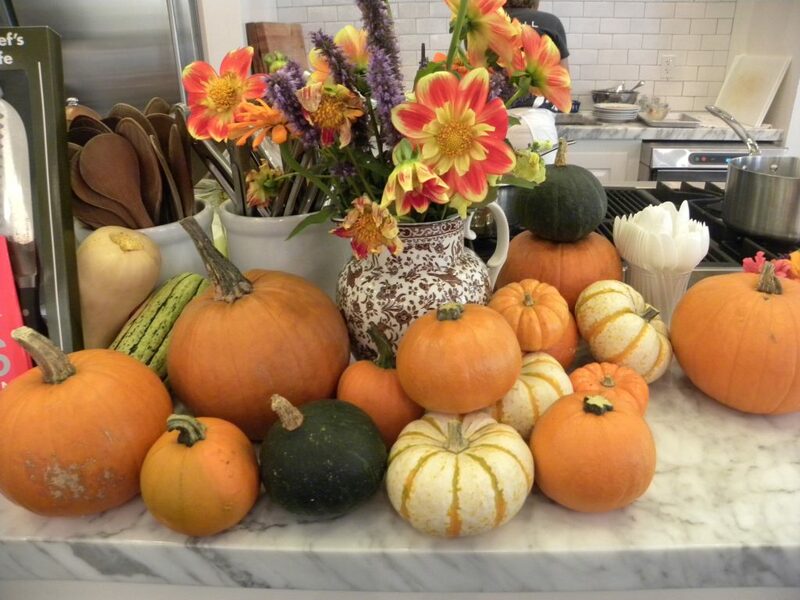 19 Responses to "Pumpkin, Pumpkin Class at Stonewall Kitchen"
I love Stonewall Kitchen! I have featured their recipes on my blog a bunch of times. It’s good to hear that the classes were fun. I’m looking forward to trying one. 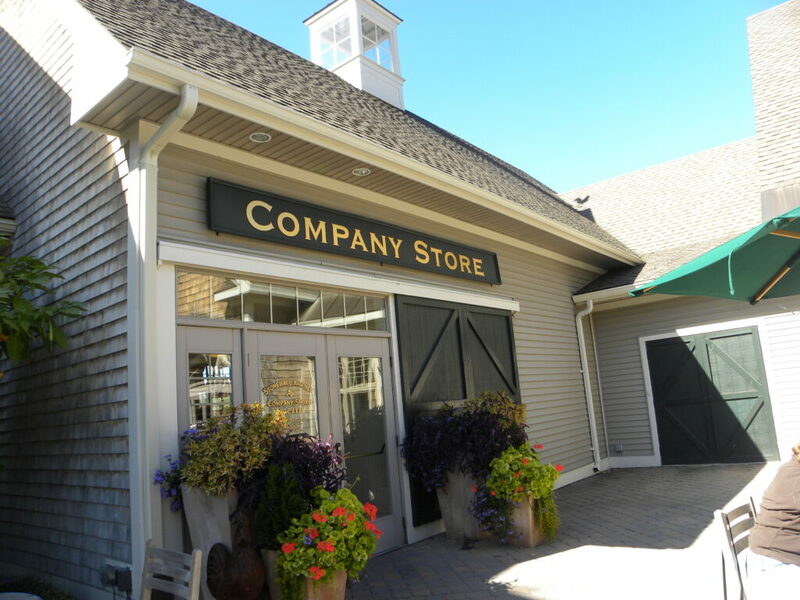 Their cafe and company store are the best! Looked like so much fun! I’ve been dying to try a cooking class of that kind and pumpkin & butternut squash are probably my favorite things about fall :). 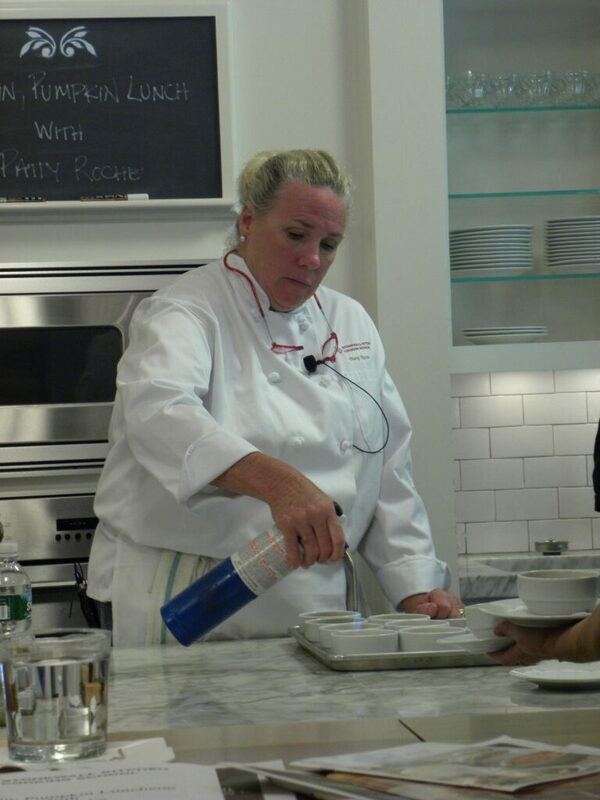 A class at Stonewall Kitchen might be in my near future! 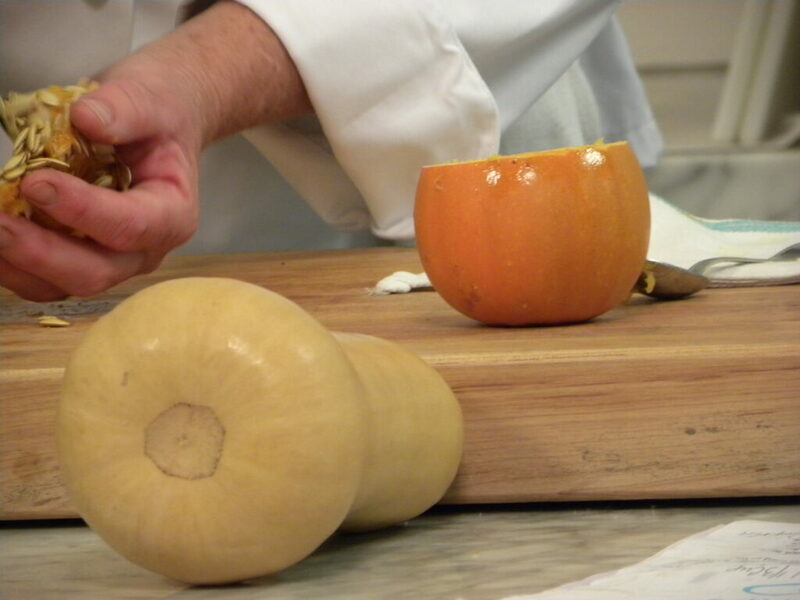 i can’t wait to eat a dish straight out of a pumpkin! Looks like you had a great time too. omg, that looks incredibly tasty–how fun!! I didn’t know Stonewall offers classes! I am in NH, so I am super close to them. What a great post, thanks! That looks amazing! Gorgeous kitchen! I’m taking an Italian course at the BCAE next week. mmmmpumpkin! 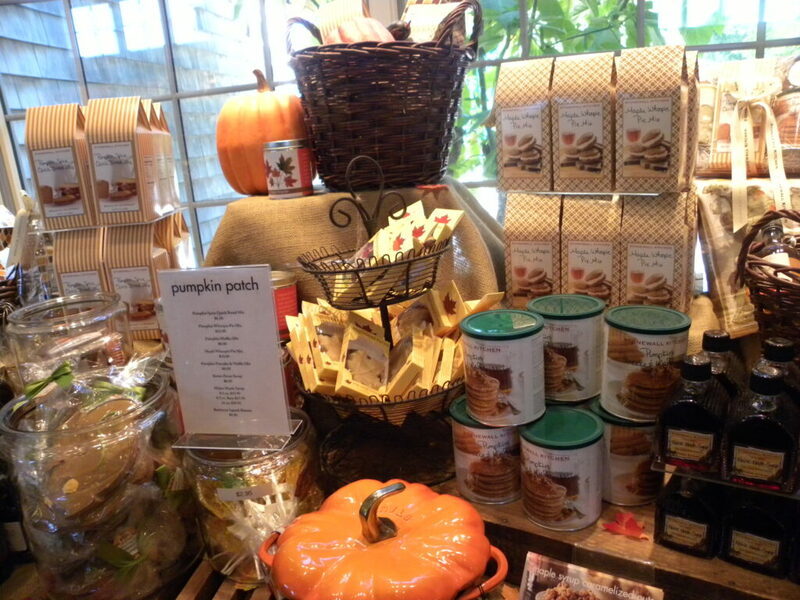 i love all things pumpkin like woa. and omg, that chicken pot pie! tellll me when you make that in the pumpkin! that sounds so good. How fun!!! And the food looks amazing. What a lovely day for you and your mom! Hello from Chef’n! Sues, we’re so glad you like the VeggiChop — it’s such a fantastic product! Thanks for the feature. 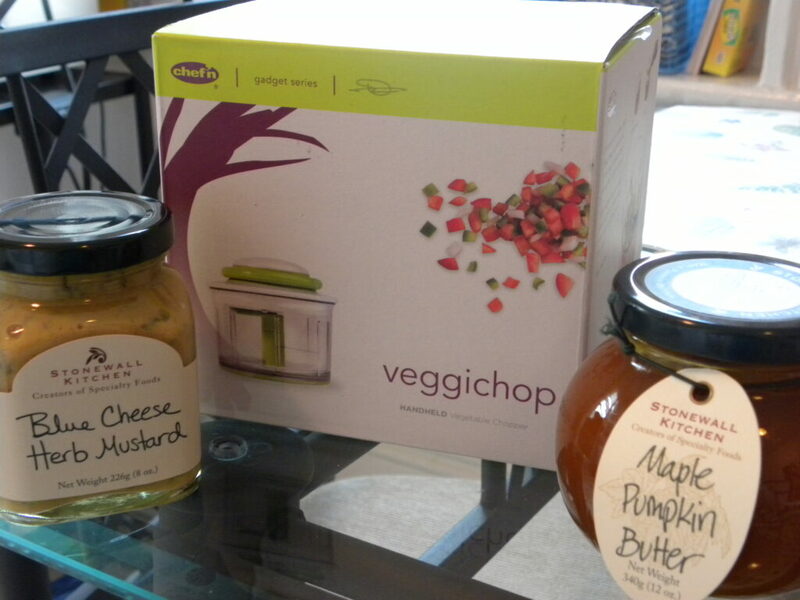 Your post inspired us to do a pumpkin-themed VeggiChop giveaway on our blog, http://www.chefnblog.com. To enter, readers simply leave a comment telling us about their favorite pumpkin dish. We hope that you and all your fans will enter to win! Thanks again! What a wonderful way to spend your birthdays! 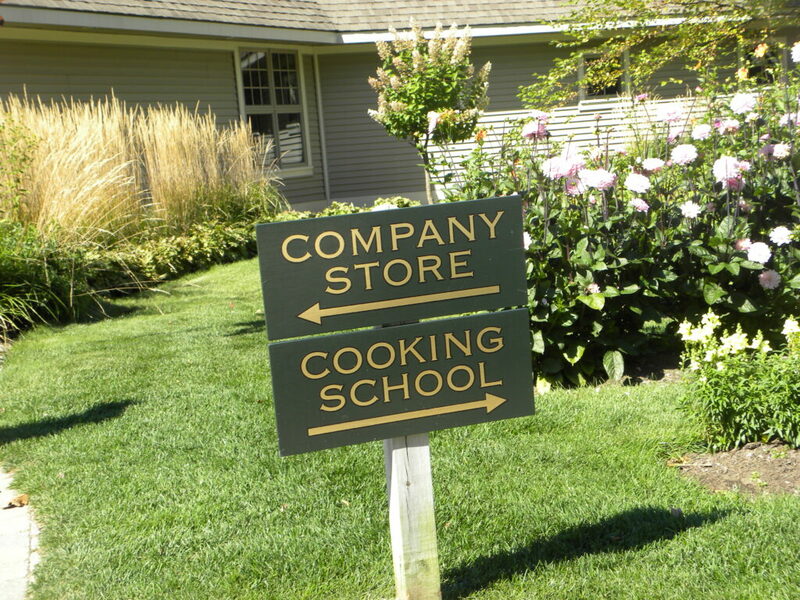 I didn’t know that there was a Stonewall Kitchen in York, ME that offered cooking classes. Thanks for letting me know. 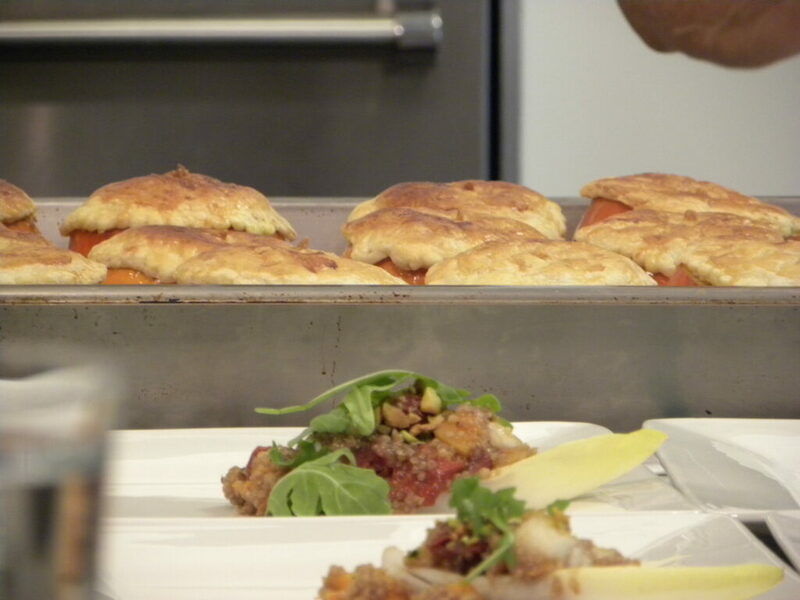 All of those dishes looked too good to be true – especially the pumpkin chicken pot pie! Holy yum! What a fantastic post! I am taking this class in a few weeks. Looking forward to it! 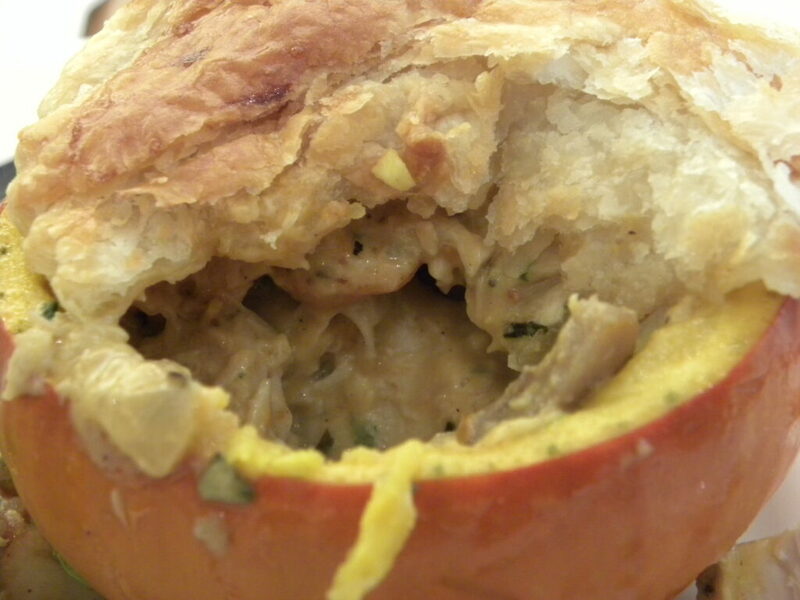 How do I get the recipe for the chicken pot pies in the cute little pumpkins?